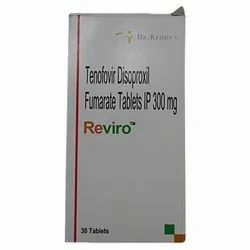 Wholesale Distributor of a wide range of products which include ricovir 300mg, tenvir tenofovir tablet, efavir (efavirenz), telura, tenvir tablet and tenvir em tablet. We are extremely engrossed in providing a premium quality Ricovir 300 Mg Tablets.The offered medicine is processed utilizing superior quality chemical compounds and the latest technology in compliance with industry norms at vendors end. 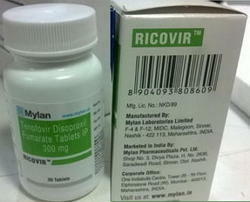 The offered medicine is used in combination with other antiviral drugs in the treatment of (HIV) infections. Apart from this, we offer this medicine in various packaging options so as to maintain its long shelf life. 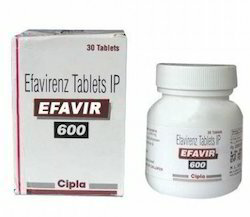 Efavir (Efavirenz) provides highly effective control and treatment of HIV-1 (human immunodeficiency virus) infections. However, it is only used with other anti-retroviral drugs and not on its own. This is because monotherapy with this medicine allows the virus to become rapidly resistant to it, which can make treatment difficult. It is classified as a non-nucleoside reverse transcriptase inhibitor, and its pharmacological action involves diffusing in the cells and attaching to the HIV enzyme responsible for the recreation of viral DNA (reverse transcriptase). It inhibits this enzyme in a non-competitive manner, and this stops the virus from spreading. 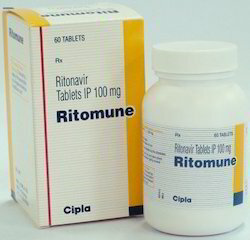 Other drugs are added to the treatment, and this is known as highly active antiretroviral therapy. 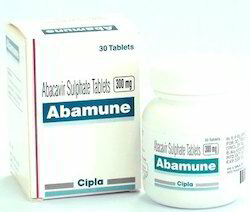 When used as directed by a physician, it can reduce HIV blood levels and prevent illnesses. 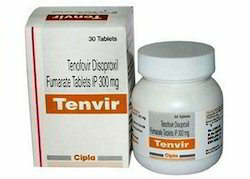 With the help of our highly qualified professionals, we offer a qualitative range of Tenvir Tablet, which is used in combination with other antiviral medications in patients with acquired immunodeficiency syndrome. These products are made from high quality ingredients and we offer them as per the industrial standards. Our products are available in accurate compositions and we offer them at very affordable prices. We have carved a niche in offering a supreme quality Tenvir-em Tabletswhich is an acyclic nucleoside phosphonate diester analog o monophosphate. 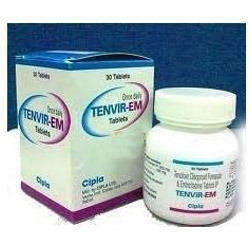 Offered Tenvir-em tablet is indicated in combination with other antiretroviral agents for the treatment of HIV-1 infection in adults. our provided Tenvir-em tablet is formulated by vendor’s medical experts using quality ingredients in compliance with the standards of medical industry. 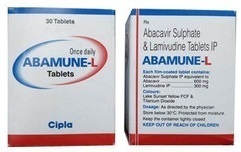 Abacavir Sulphate ( Tab Abamune 300 mg by Cipla ) is used for reating HIV infection with other medications. Abacavir is a nucleoside analog reverse transcriptase inhibitor (NRTI). It works by slowing down the growth of HIV, the virus that causes AIDS. 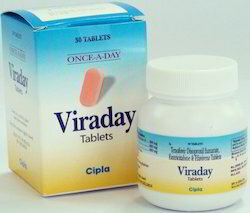 It is an antiviral drug that is effective against the HIV-1 virus. It acts on an enzyme of the virus called reverse transcriptase, which plays an important role in its multiplication. Though abacavir reduces viral load and may slow the progression of the disease, it does not cure the HIV infection. 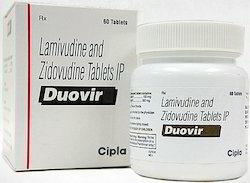 Duovir ( Tab Lamivudine + Zidovudine by Cipla ) contains 150 mg of Lamivudine & 300 mg of Zidovudine. Lamivudine is used in the treatment of hiv infection and chronic hepatitis b virus (hbv) infection. Lamivudine prevents the multiplication of HIV virus in human cells. Thus stops the HIV virus from producing new viruses. This medicine is used to treat HIV. It helps to keep the HIV virus from reproducing in the body. The medicine is an antiviral medication containing a combination of lamivudine and zidovudine. These medicines are in a group of human immunodeficiency virus (HIV) medicines called reverse transcriptase inhibitors. This medication is not a cure for HIV or AIDS. 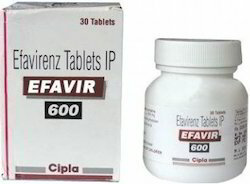 Efavirenz ( Tablets Efavir by Cipla ) is used with other HIV medications to help control HIV infection. Efavirenz is not a cure for HIV infection. To decrease your risk of spreading HIV disease to others. It helps to decrease the amount of HIV in your body so your immune system can work better. Efavir tablets 600mg prevent or slow down the ability of HIV to replicate and spread, which keeps the amount virus down to a low level (reduces viral load) and this results in an increase in CD4+ cell numbers, so that the immune system can recover, reducing the risk of disease progression. Efavirenz belongs to a class of drugs known as non-nucleosideq reverse transcriptase inhibitors (NNRTIs). Lamivir ( Tab Lamivudine by Cipla ) is used in the treatment of hiv infection and chronic hepatitis b virus (hbv) infection. It prevents the multiplication of HIV virus in human cells. Thus stops the HIV virus from producing new viruses. 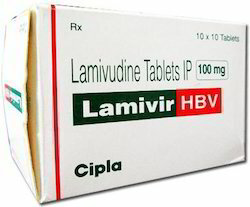 Lamivir Hbv Tablet contains Lamivudine as an active ingredient. Lamivir Hbv Tablet works by increasing the number of infection fighting cells in the body. It will not cure or prevent HIV infection or AIDS. It helps keep HIV from reproducing and appears to slow down the destruction of the immune system.This may help delay the development of serious health problems usually related to AIDS or HIV disease from occurring. Lamivir will not keep you from spreading HIV to other people. Valgan ( Tab Valganciclovir by Cipla ) valganciclovir contains 450 mg of Valganciclovir. Treating cytomegalovirus (CMV) infection of the eye in patients with acquired immunodeficiency syndrome (AIDS). It is used to prevent CMV disease in high risk kidney, heart, and kidney-pancreas transplant patients. 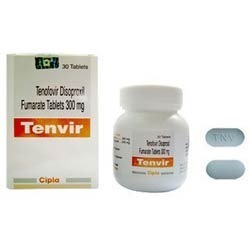 Efavirenz, Emtricitabine & Tenofovir Disoproxil Fumarate ( Tab Viraday by Cipla ) is used for treating HIV infection in combination with Efavirenz, & Emtricitabine. 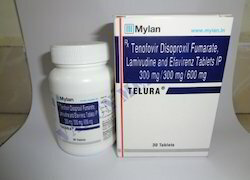 Efavirenz, Emtricitabine & Tenofovir Disoproxil Fumarate is an antiviral reverse transcriptase inhibitor.It is also used to treat chronic HBV infection. It works to treat HIV infection by blocking the growth of HIV. It works to treat HBV infection by blocking the ability of the virus to multiply and infect new liver cells. Dinex-EC ( Cap Didanosine by Cipla ) contains 25 mg of darunavir. Dinex Ec Capsules works by inhibiting the nucleoside reverse transcriptase of the virus, thereby stopping the virus from multiplying in the body. Dinex Ec Capsules is used for Treatment of human immunodeficiency virus (hiv)-1 infection and other conditions. Dinex Ec Tablet improves the patient’s condition by Inhibiting the nucleoside reverse transcriptase of the virus, thereby stopping the virus from multiplying in the body. 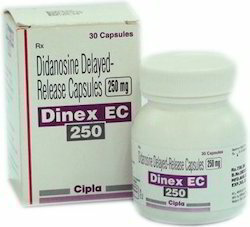 Didanosine belongs to a class of anti-HIV medicines called nucleoside analog reverse transcriptase inhibitors (NRTIs). Didanosine can slow down the damage caused by the human immunodeficiency virus (HIV) and delay the symptoms of advanced HIV infection. Didanosine will not cure or prevent HIV infection or AIDS.Also available in 400 mg.
REVIRO TABLET is an antiviral medicine which is used to treat human immunodeficiency virus (HIV) and hepatitis B virus (HBV) infections. This medicine is not a cure for HIV or HBV. It only prevents the virus from multiplying in your body. Close monitoring of liver function and kidney function is necessary while receiving this medicine. Though Instgra reduces viral load and may slow the progression of the disease, it does not cure the HIV infection. 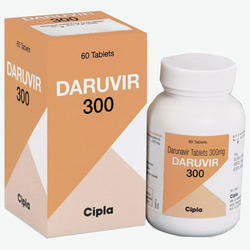 Daruvir ( Tab Darunavir by Cipla ) contains 300 mg of darunavir. 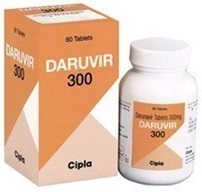 Daruvir is used for the treatment of human immunodeficiency virus (HIV) infection in antiretroviral treatment-experienced adult patients, such as those patients with HIV-1 strains resistant to more than one protease inhibitor when co-administered with 100 mgritonavir, and with other antiretroviral agents. 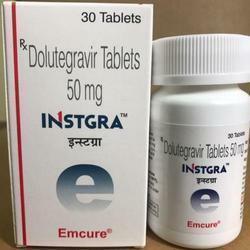 Darunavir is a unique molecule having anti-HIV activity in multiclass resistant HIV strains and dual mechanism of action. It has the highest genetic barrier to HIV resistance development, which makes it the preferred choice for treatment of highly treatment-experienced patients. Also available in 600 mg. Looking for HIV Medicine ?